Landscaping planning is an essential process for do-it-yourselfers. Before you proceed with a landscape design on paper, you should first read these valuable DIY landscape tips. Landscaping planning will allow you to walk a property and “think like a landscaper”. What is “thinking like a landscaper” and how does it benefit you with do-it-yourself landscaping? “Thinking like a landscaper” is the ability to identify all the challenges you will face when installing your landscape design before you start. One of the most important aspects of a successful landscaping company is having the "Eye" to walk a yard. This can make or break your business. Landscaping planning is all about developing the "Eye"
First, it will allow you to more accurately figure out your costs and help you estimate the time required to complete the task. It will make you understand the scope and size of the task to know if you can do it yourself, or if you will require an experienced contractor. It will increase the value of your home, and make it sell faster. Growth of grass and plants will flourish naturally. It will always save you considerable time and money doing it right the first time. This article is about landscape planning, not designing, but the two go hand in hand. The more planning that is done, the less time and money you will spend on modifications that should have been caught in the planning stages. Let's say you want to come up with a great back yard design. Read this article on planning and our article on backyard landscaping design. After you have a handle on planning and designing, the next step is to gather ideas. 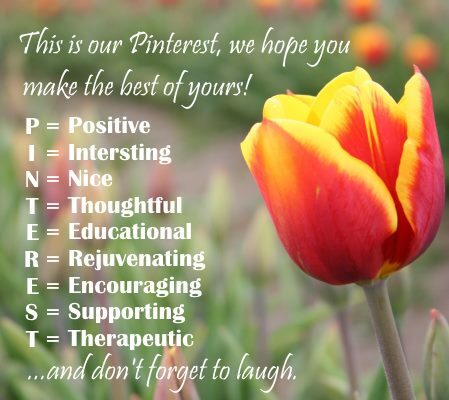 Along with our photo gallery here, we also have over 11,000 landscaping pictures categorized on over 80 different boards in our Pinterest account. After you have your ideas, you can visit our how-to's for more help with your DIY projects. 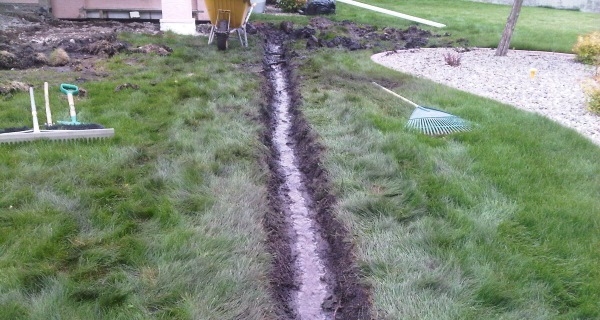 Drainage is one of those things that must be planned before you start your project. Visit landscaping planning for more information. An experienced landscaper or designer will always walk a property of a client taking pictures, notes, or mental notes of all the challenges they will face in the yard. This is what allows then to give accurate quotes. If something is overlooked in the landscaping planning stage, it will cost time, money, or grief with the client down the road. Let's take a look at what many think is a relatively simple task. (Sodding a yard). We can take a look at it with, and without proper planning. This will give you a better perspective on what goes on in this industry. Just like any other industry, there are good people doing great work, and there are unqualified people doing poor work. Existing soil conditions, sunlight, drainage, slopes, swales, berms, weather, and other challenges are considered and accounted for. A good quality landscaping company will point all these things out to you. After all, they are only going to put a warranty on work that is done right. A basic sodding job should have at least a minimum of 4 to 6 inches of quality loam. This makes for the basis of a beautiful deep rooting and thriving lawn. This lawn will resist weeds, droughts, require less chemical treatments, and fertilizers. If your existing soil is extremely poor, you may have to amend it, or excavate and remove it. If this allows you to have the proper depth of high quality loam/topsoil, then do it. Spend the money now, or twice as much later. Where you will sod is equally as important as the soil quality. Sodding under trees, heavily shaded areas, between or against houses, along driveways, are all challenging areas. Shade tolerant varieties can be used, but still require at least a couple of hours of sunlight/day. Remember that proper Landscaping planning means you will have the "Eye" to recognize areas of concern. You may plan for alternative ground covers in these areas to be installed now. Landscape fabric, rock or mulch beds, and edging are used with perennials, annuals, and trees can be used to make a beautiful and practical yard. Doing it properly now will save you from a battle that may even require you to have to do it over again. Now you are thinking like a landscaper. You are able to see things before they happen, and plan accordingly. Soil and sod is ordered, poorly graded, and only a thin layer of loam over a poor quality base (most often clay). Drainage is poor, and the lawn frequently has standing water. The sod looks great the first year, until the root system extends down through the thin layer of loam. This situation happens far too often. The second year, the roots struggle in the poor soil, and money is wasted on expensive chemicals and fertilizers (which will not help the situation). The grass under trees, between houses, along the driveway, and other poor growth areas often need to be replaced with another ground cover. Another problem is that every time one of these projects was redone, existing areas of the yard are often trampled by equipment thereby costing even more money in repairs. Where does the idea of "landscaping planning" come from? These are just a few of the things that keep landscape companies in business. We actually get the phone calls to come in and repair, rebuild, redo, or replace the things that could have been avoided with proper landscaping planning. Customer B that didn't plan properly was bragging to his neighbour (Customer A) that it cost him $1,200 dollars to finish his yard, as opposed to Customer A who initially spent $1,800. The problem is, Customer B who planned poorly spent an additional $2,000 over the next five years to have the same yard as Customer A. Do it right once the first time. Hopefully, you can see the importance of landscaping planning and spending a little bit more up front in the preparation stages. Sometimes driving around and looking at other properties may help you with your own yard. You will be able to pick up on positive features in any yard as well as noticing poorly done work. Professionally designed landscapes are also great to look at. There is a reason for almost everything that is done in the yard. You should now be able to pick out “why” something was done the way is was. So here is a list of some of the things you should be looking for with almost any project in your yard. Always keep in mind that you will have to plan according to your budget. We can't think of everything, if there is something specific to your area that affects landscaping planning, your comments and your experiences are certainly welcome. We would love to add them and help others as well. Many of these tips can be found in most design courses or books. It is important for do-it-yourselfers that are not using any design courses, books, or software, to be aware of all these things before they put a design in their head or on paper. Existing levels of soil and features - Starting with the big picture. Get an overall view of the property's current ground levels against houses, patios, driveways, fence lines and other features. This will help you plan for proper drainage. Upkeep - Make sure that whatever you design is going to be something that you can maintain. Don't plan out two acres of grass if you are never home to mow it. If you have a lawn and garden that requires a lot of water, make sure that you have irrigation installed if you can't be there to move a sprinkler around. Make sure that the design coincides with the amount of effort you will be able to put out to keep it looking great. Sun/shade - View the property at various times of day so you can plan for growth prosperity of lawns, plants, and trees. Even most shade varieties of grass require a few hours of sunlight per day. Water - Access to an adequate water source may cause you to modify plant, grass and tree selections. Utilities - This is a very important part of landscaping planning, especially when excavation is required. Always have utilities marked before you begin any work. You may have to change or modify a design that requires excavation because of this. Permits and By-laws - This is often overlooked, even by experienced landscapers. If you are planning a yard with a fire pit, make sure you know the regulations from your local government office or fire chief. Many towns or cities require them to be a certain distance from decks, fences, trees, and houses. (Some have them banned altogether. )Fire pit regulations may also require a certain amount of gravel or rocks underneath the project as a sub-base. Traffic Patterns - Think practical. Pathways, fences, shrubs and garden beds should be planned to control the flow of traffic the way you want it to move. Soil - Starting with good soil is the key to growing success. Landscaping planning starts with a good foundation and basic building block for your lawn or gardens. The time and cost to start over, far outweighs the initial cost of proper preparation. Weather - Heavy winds can affect certain trees and plants. Heavy rains and water flow may require you to add berms, swales or even dry creek beds into your design. Heavy accumulation of snow and ice can affect grass and plants as well. Salt, grease, oil, and road grime can kill growth down the edge of a driveway. Access - Access is often overlooked as well. How will construction equipment be able to access your yard? Will you have to take down fences? Do you have overhead power lines that may impede the operation of equipment? Will existing lawns or features need to repaired from heavy traffic damage? Co-ordinate materials effectively. - Planning how long, and where to store materials can also save some grief. It can also coincide with accessibility to move around your yard with equipment. Having to move piles of materials more than once should be avoided at all costs. It is time consuming work. Try to store materials on tarps to make cleaning up a little easier. Lastly, It helps to be present at time of delivery to make sure materials are dropped where they should be. If you can't be there, mark an "X" or put a tarp down where you want things dropped. (Make sure you communicate this to the delivery company). Sub-contractor communication - If you are paving a driveway, installing a fence, building a deck, pouring concrete, installing irrigation, or having anything else done by someone else, make sure you work with them not against them. The unforeseen - The unforeseen is also something that some of the best planners in the world have difficulty dealing with when it happens. It is exactly what it says, unforeseen. Be prepared to come across hidden issues with any project. The "Murphy's Law" of landscaping. An example of this would be large buried materials. I have uncovered large pieces of granite that were like icebergs, (the more digging you do, the bigger it gets). Keep in mind that even the best designs and engineering plans require modifications from time-to-time. Don't be discouraged, this is normal. Accept it and move on. Be thankful that it was caught in the landscaping planning stages and not afterwards. Consider it an opportunity for improvement. So, before you put your design on paper, take the time to think about these landscaping planning considerations. This should have you a little more armed for the design stage. 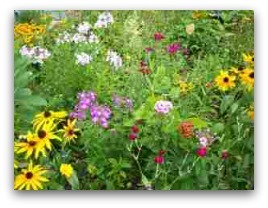 If you wish to design your own yard, there are some great landscape design software programs available on the internet. Like much of the high tech world, the software has come a long way and the prices are much more affordable. We are sure you will come up with other considerations on your own as well. We hope you have found this information useful. Please pay it forward so others will benefit from it as well. All the best of luck with your project.